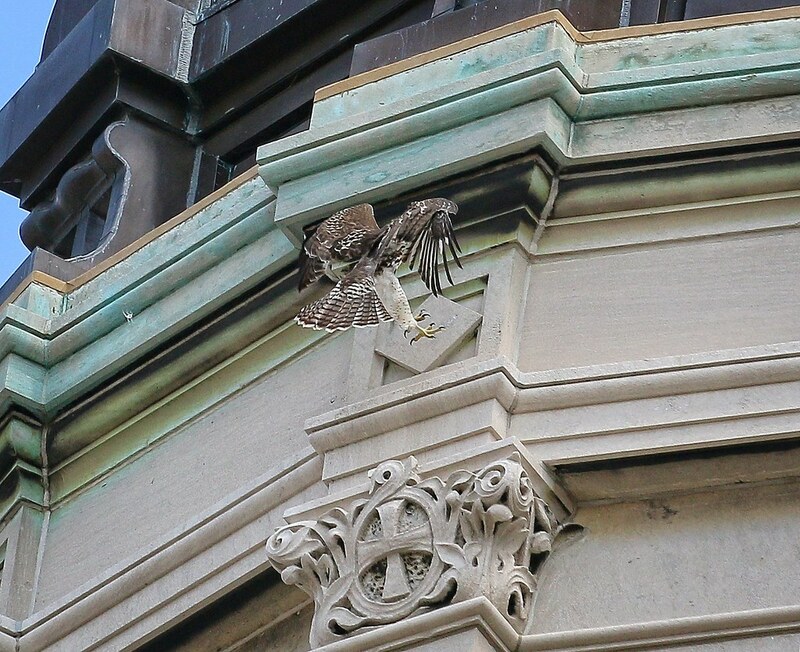 On Monday, June 22, the same day Fledgling #1 was hanging out on an a/c and a clock, Fledgling #2 was practicing its flying. I watched it soaring high over Avenue A, circling up and up and up until I could only see a tiny dark speck in the sky. Flying must be the easy part as landing is another story. 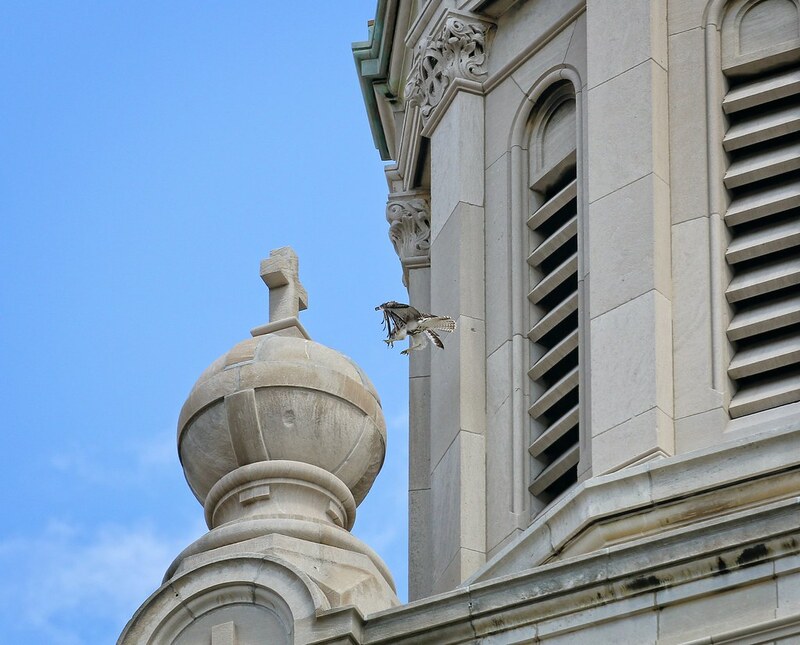 When the hawk returned from the stratosphere, it tried to land on the church where mom and dad perched all the time. The only problem is the target ledge wasn't big enough for the bird to land. The fledgling didn't seem to realize this until it was too late. Maybe head first will work? 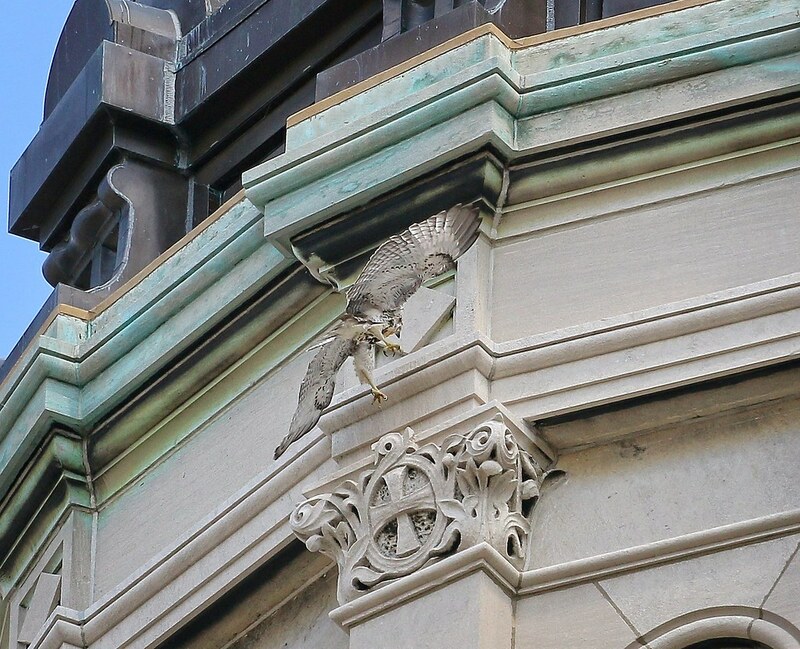 Failing to land on the ledge, the fledgling made a last-second decision to head for the globe, but that didn't work out either. 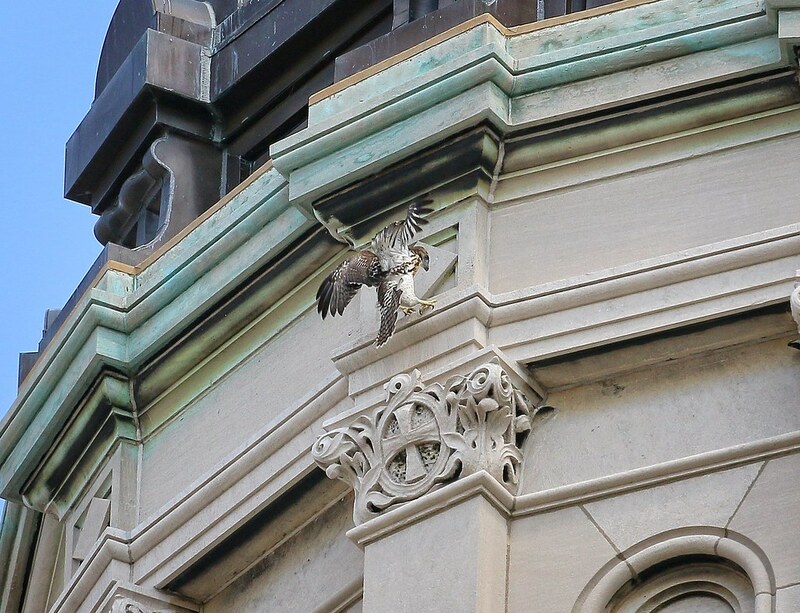 The good news is, in the week since, this bird has improved its take-offs and landings, and is doing very well. 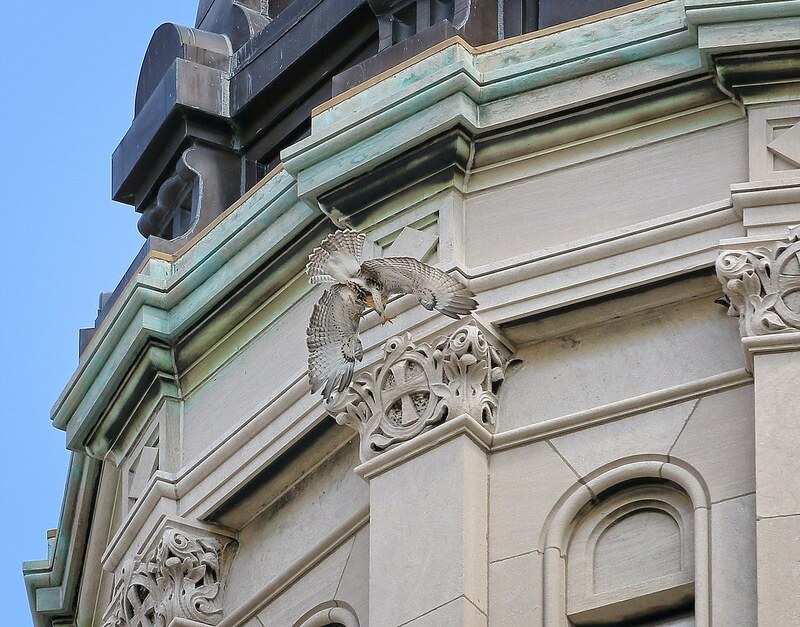 This is the same hawk who went sliding on the church dome the previous day.